Want to discover the other half of the college experience? Douglife is your one-stop shop for activities outside of class like Frosh, global internships and volunteer opportunities, student leadership, and intramurals. Douglife also supports student clubs and organizations, wellness programs, and overall student development. Complimentary fitness classes are offered at both campuses ranging from yoga and pilates, kick boxing, core strength, and basic step. There are also two fitness centres accessible to Douglas College students and staff: one at the New Westminster campus and one at the Pinetree Community Centre next to the Coquitlam campus. Hours of operation are listed on the Douglife website. Volunteer opportunities exist on and off campus. On-campus opportunities include helping run International Day and other exciting events, while off-campus opportunities exist through a variety of organizations like the Red Cross and PoCoMo Youth Services. 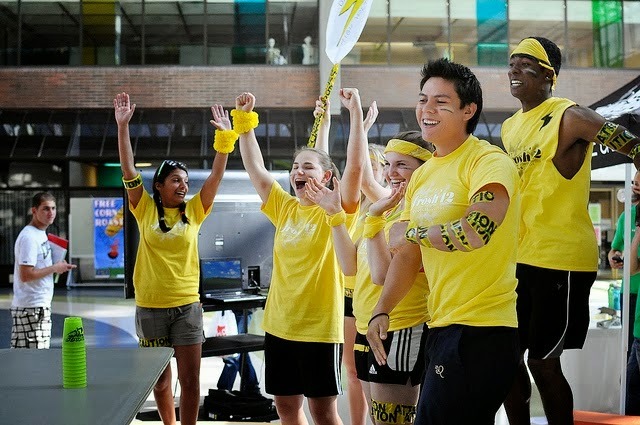 Some of the clubs that exist on campus are the Running Club, the Outdoors Club, the Social Justice Club, the International Association, and several dance clubs. Get the complete list on the Douglife website. Getting involved in co-curricular activities gives you the chance to meet new people with similar interests. In other words, make new friends and have fun doing it. Physical activity can have a strong, positive impact on mood, and social interaction can boost cognitive performance. Gain personal and professional skills that will benefit you in classroom settings and in future careers. So whether you want to join a sports team, develop your leadership skills, intern in Zambia or create a club, Douglife is the place you need to be. Check us out our website for more information.